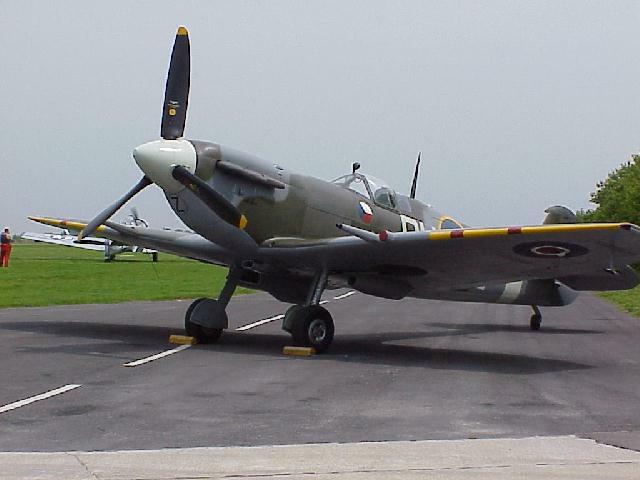 There are only four flying examples of the Spitfire MkV in the world. This one, a MkVc, was brought to us in order to complete its restoration, and was delivered to its new owners, abroad, in late 1999. 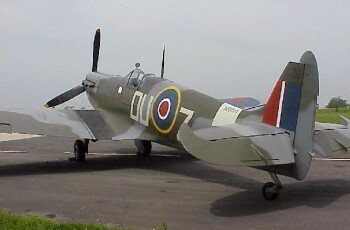 Commonly known as the “Baby Spitfire”, the MKV was the primary Spitfire type used during the Battle of Britain, before continuous modifications in the quest for better performance degraded the aircraft’s delightful flight handling characteristics. 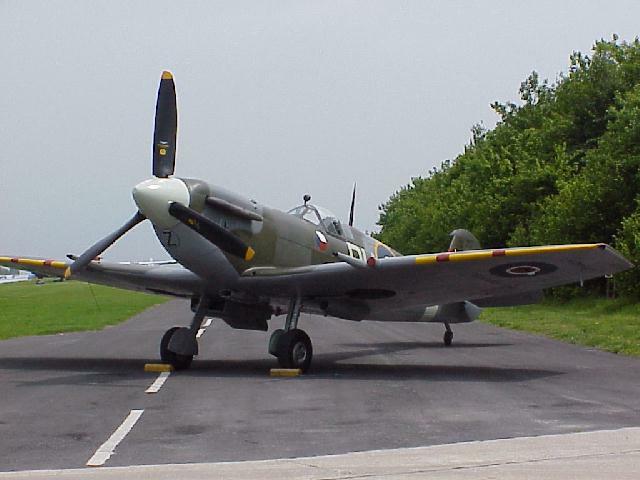 AR614 was ordered in August 1940 from Westland Aircraft Limited and built in the summer of 1942 with a Rolls-Royce Merlin 46 engine. 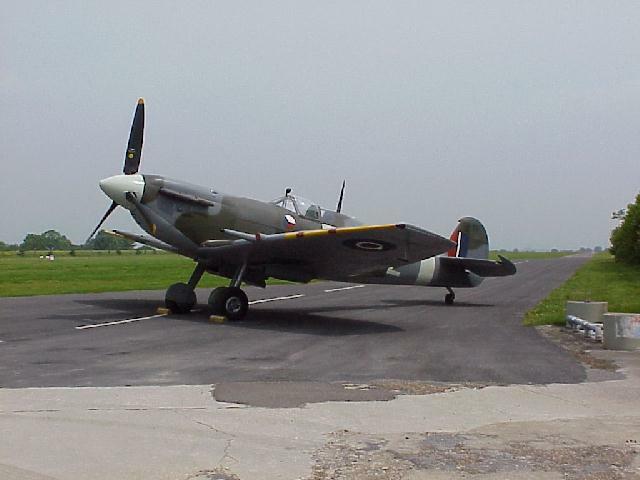 It later jointed the Czech 312 Squadron at Harrowbeer but in 1943 it was damaged by flak, returning to service on 9th September. A couple of months later it was issued to the County of Chester Squadron at Bolt Head in Devon, operating from there until early 1944. 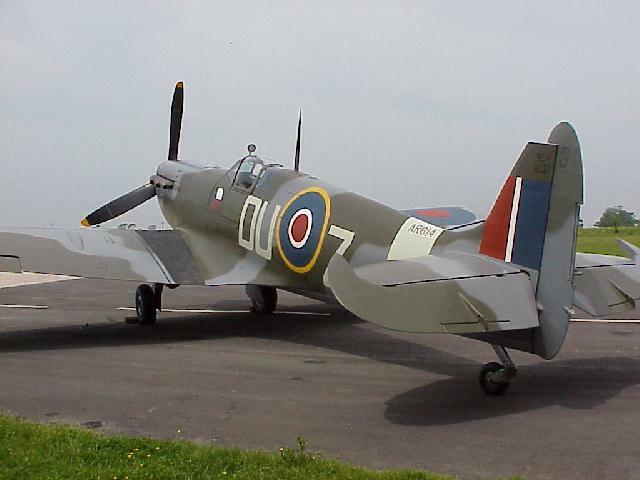 Later in that year, it was transferred to Acklington in Northumberland, where it had two flying accidents. 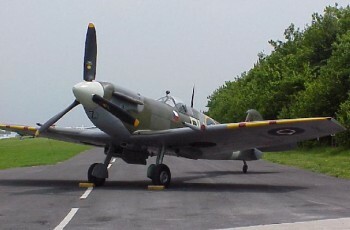 In July 1945 it was allocated to RAF St Athan in South Wales, as an instructional airframe for maintenance personnel. 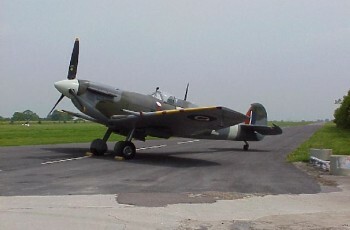 During the late 1940s and early 1950s it was on display at RAF Padgate in West Kirby and was eventually sold by the Ministry of Defence, in 1963, to the Air Museum in Calgary, Canada. 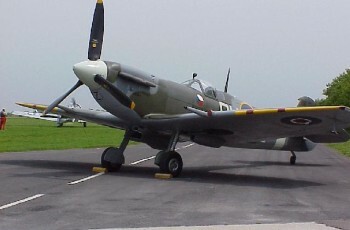 Having returned to England, it is now fitted with a Merlin 35 engine and Dowty Rotol propeller.